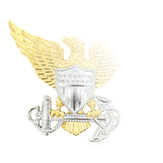 The Marine Corps Expeditionary Medal (MCEM) quite naturally shares a great deal in common with the Navy Expeditionary Medal, so much so that the “Eligibility Requirements” section for MCEM in the Navy and Marine Corps Awards Manual simply says it’s awarded to USMC personnel “per the requirements listed above for the Navy Expeditionary Medal.” Indeed, earlier versions of the manual did not even have an individual listing for the MCECM, instead referring to either “Navy Expeditionary Medal” or “Expeditionary Medal (Navy and Marine Corps). 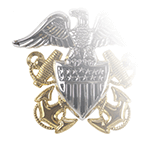 But the MCEM predates the Navy Expeditionary Medal by nearly twenty years, with qualifying service dates all the way back to 1874. 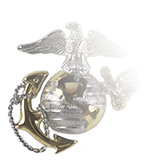 It was originally authorized as a ribbon by Marine Corps General Orders No. 33 on May 8, 1919, but the numerous sources that say Warren G. Harding authorized a medal version through Executive Order 3524 have obviously never taken time to read that Presidential decree: it contains no mention of the Marines, the Marine Corps, or even a branch of the military. 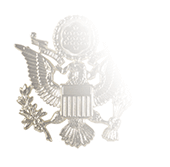 Instead, it merely says that the government would consult the Commission of Fine Arts regarding the design of medals, insignia, coins, monuments, and so forth. Marine Corps General Orders No. 20 of March 1, 1929 did authorize the medal. 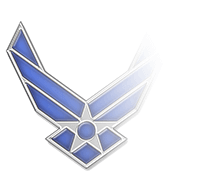 In addition to bronze service stars for participation in each qualifying operation, the “W” and “Wake Island” devices are authorized for wear on the service and suspension ribbon of the MCEM, to reflect service in the defense of Wake Island between December 7, 1941 and December 22, 1941.